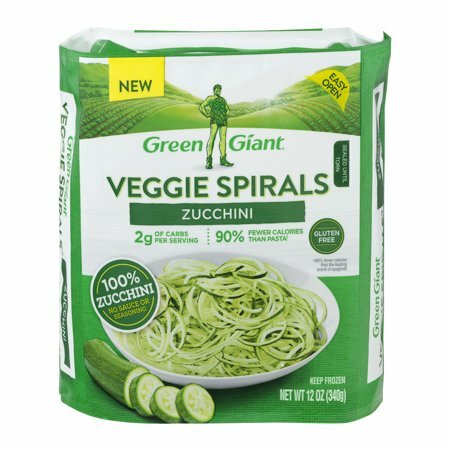 Green Giant® Veggie Spirals™ Zucchini. An exciting new take on noodles. Enjoy these spiral-shaped vegetables as a great alternative to pasta. Spiralized directly from fresh zucchini, with no sauce or seasoning added, these are ready for sauteing, steaming, or baking. It is perfect for soups, salads, main meals, or sides. This gluten free product contains 90% fewer calories than pasta. Instructions: For food safety and quality, follow the directions. Before eating, cook thoroughly to at least 165°F. Keep frozen until ready to cook. Do not thaw. Refrigerate leftovers.Microwave:1. Place package on a microwave-safe dish.2. Microwave on high for 6-7 minutes**.3. Gently peel tab open, drain excess water, and serve.Caution: Package will be hot, avoid steam and hot water.Stove Top - Saute:1. Place contents of package into preheated nonstick skillet and cover with lid.2. Cook over medium-high heat to steam for 10-11 minutes, stirring occasionally.3. Drain excess water and serve.Stove Top - Boil:Place contents of package into boiling water for 1-3 minutes to desired texture. Drain excess water and serve. **Microwave directions developed with 1000-watt ovens. Microwaves vary. For 700-watt microwave oven increase cook time to 10-11 minutes. Safe Handling Instructions: For food safety and quality, follow the directions.Before eating, cook thoroughly to at least 165ºF. Keep frozen until ready to cook. Do not thaw. Refrigerate leftovers. Loved.... I steamed it a pan for 6 mins then drained. In the pan I added a tablespoon of olive oil, crushed garlic and red pepper flakes. Added the zucchini back into the pan tossed it. Took 10 mins. Low Carb and Healthy Substitute! Great substitute for Noodles and Pastas! If your looking for something healthy or to cut carbs... this is a great option! 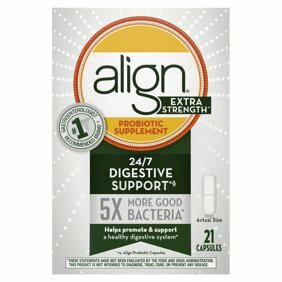 These are delicious and nutritious! You get a lot more if you make them yourself, but these are great for convenience without all the work! This is 2 servings, at the most. My first experience microwaving it was quite a soggy experience. I tried it in the pan the next time, better but still ehhh. I mean itâll do.